Grass sod provides a quick alternative to seeding a new lawn. Mature grass plants make up sections of sod. This sod includes the surface blades and the root systems, encased in a shallow layer of surrounding soil. Healthy varieties of commercial sod from garden centers and landscape nurseries contain few weeds. However, if you buy your sod from an individual or as part of a landscape reclamation or construction site, you may encounter some weeds interspersed with your grass plants. Remove these weeds to eliminate unsightly sections of lawn. Spot treat weeds in new sod. Most herbicides require waiting for new sod to establish before treatment. Help your new sod establish quickly in your landscape by providing adequate amounts of water to keep the roots slightly moist. Establishment normally takes about two weeks. Check for this by trying to pull up a corner of the sod. Sod that resists pulling indicates the presence of new roots. Avoid using a broadcast herbicide during this establishment period. Purchase a spray herbicide indicted for use with your grass variety. Treat individual weeds with a targeted spray of herbicide directed into the center of each weed. Do not soak the soil with the spray herbicide. Excessive amounts of herbicides travel through the soil to the grass roots, causing damage to new sod. Avoid applying spray herbicides during windy weather or before an anticipated rain. Apply post-emergent herbicides to your new sod after the first two weeks to allow adequate time for root establishment. 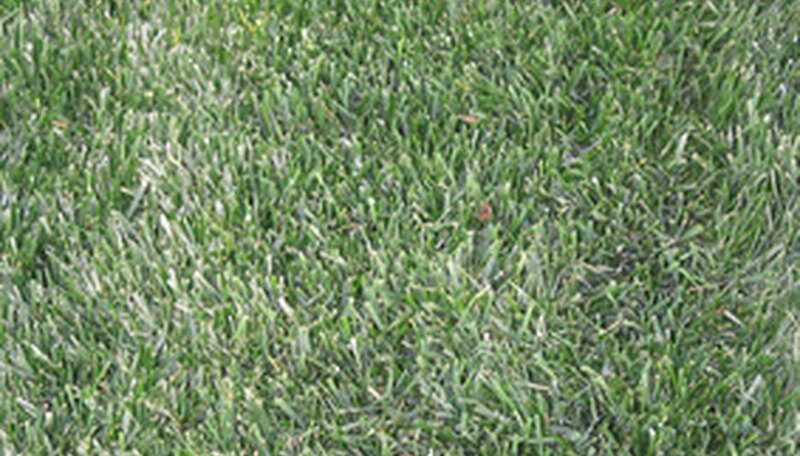 These pre-emergent herbicides kill weeds that have sprouted and are growing in your new sod. Buy an herbicide listed for application on areas with new sod. Spray this over the surface of your sod to kill emerged weeds. Spread pre-emergent herbicide granules over the surface of your newly established sod in the late fall or early spring. Wait until the grass roots firmly adhere to the underlying ground to avoid damaging your new lawn. Pre-emergent herbicides work on weed seeds, killing them before they sprout and grow into large weeds in your new sod. Select an herbicide specified for use with your variety of lawn grass or turf. Use a seed broadcaster and evenly spread the dry herbicide across the lawn. Follow the manufacturer’s instructions for determining the rate of application. Wear protective clothing when applying herbicides. Keep these and other chemicals out of the reach of children and pets.